As I researched a topic I thought I knew pretty well, I came to realize how little I really knew. I discovered that the earliest recording of the moon’s influence was found 25,000 years ago on cave walls and bones with lunar cycles displayed. It was the first steps toward recording the moon’s influence on the tides and rivers. (Note 12) I found out that the Chinese lunar calendar originated with Emperor Huang Ti in 2637 BC. I also found out that the oldest recorded birth chart dates back to 410 BC in Mesopotamia and that the first astrological book published in Europe, The Book of Planets and Regions of the World, appeared between 1010 and 1027 AD. I found out that the core concept of medieval astrology was taken and interpreted into the Hindu culture between the 7th and 8th century AD. And I found out that Islamic scholars, after the collapse of Alexandria, Egypt, in the 7th century, founded the city of Bagdad in 754-775 AD to act as a center of learning. They built a library/translation center called the House of Wisdom. Astrological information was included in this center. But one of the most interesting things I found out was that the founding fathers of astronomy: Nicolaus Copernicus (1473-1543), Johannes Kepler (1571-1630), and Sir Isaac Newton (1642-1727), were all competent astrologers. 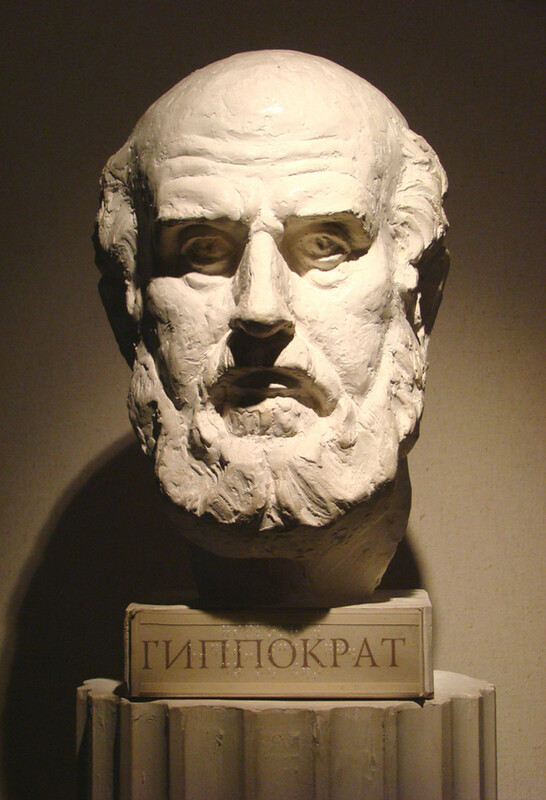 (Note 14) “After the 17th century, astrology’s influence on the sciences began to decline. A new scientific materialism was dawning that rejected everything that did not appear to have an obvious physical explanation.” (Note 14) When scientists realized that earth was not the center of the universe, but like the other planets revolved around a simple star in a universe of myriad stars, somehow undermined the belief in astrology even when Isaac Newton pointed out that astrology was about the relationship between planets and earth and it would not matter which heavenly body was the center of the solar system. Through time, many well-known and admired people are on record giving astrology credit for its incredible influence in our universe. Ben Franklin was just one of many who said, ‘Oh the wonderful knowledge to be found in the stars. Even the smallest things are written there . . . . if you had but the skill to read.” And Dante called astrology, “the noblest of sciences.” (Note 2) And oh yes, weren’t the wise men astrologers who looked to the heavens to predict Jesus’ birth and then find him in a manger near Bethlehem? Getting back to modern times, I have been intrigued with astrology for years. 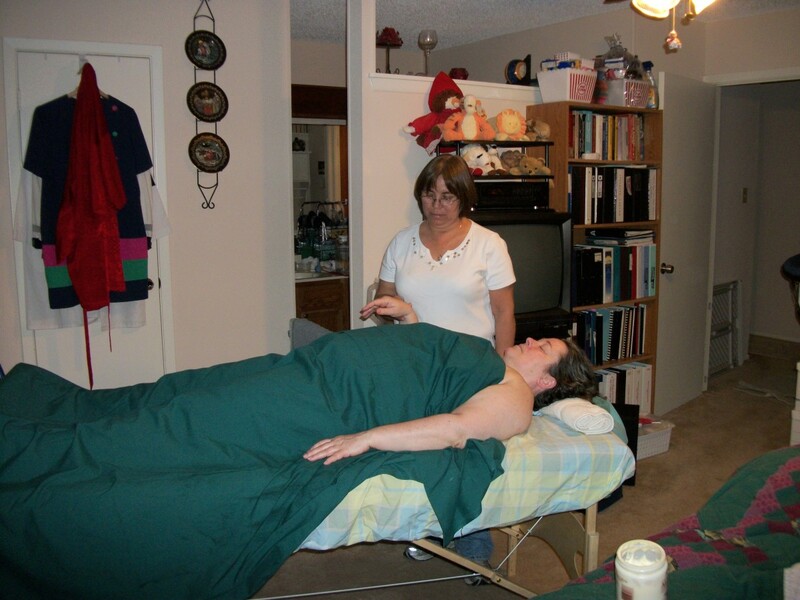 In fact while living in Hawaii in the early 1980s, my husband and I took an astrology class near downtown Honolulu. It became a new door among the many doors I have been interested in opening because of my “seeker” personality which asks, “Why am I here, and what is my purpose?” In my quest, I started reading metaphysical books in the 1970s which helped me along my spiritual path. I learned the houses in a natal chart are really 12 individual spaces/environments where each zodiac’s sign or influence is felt. And I learned the terms: “ruler”, “rules”, or “rulership” are constantly used while interpreting a birth chart. In the symbolic language of astrology, the planets, signs, and houses are said to “rule” over everything on earth and every facet of our lives. 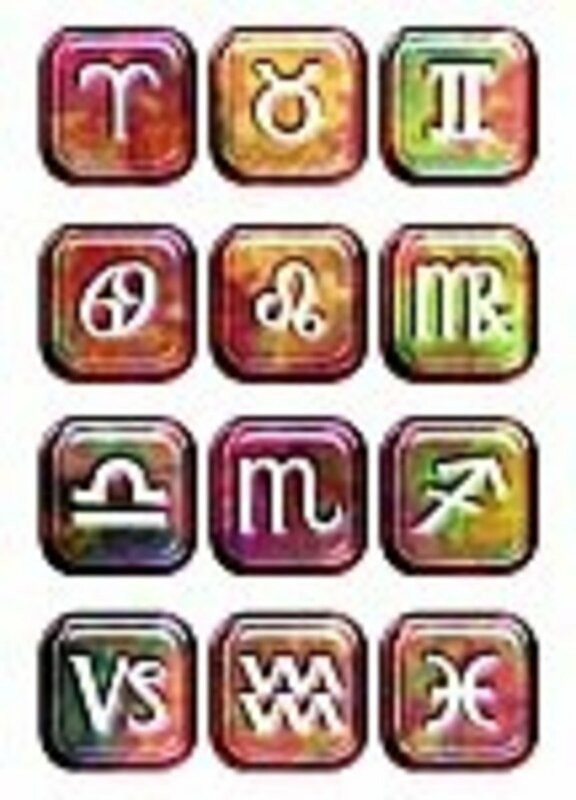 (Note 11) For example, the first house is the “I” of the zodiac – the self. So whatever sign is located in the first house of any birth chart represents how the individual will be viewed by others. For example in my own first house there are two energy influences: Cancer and Leo. The Cancer is the “mother” of the zodiac, which projects out as a nurturer. Leo is the theatrical. It drives my interest in dramatics and glamour. It is the “bling” of the zodiac. So combined, it turns out I am a nurturer of others who is also theatrical and loves to wear lots of jewelry. I learned that the location in the chart of the planet Mercury – which has rulership over communications – determines where and how an individual communicates. I learned that the planet Saturn, which is the teacher and restrictor of the zodiac, takes 29 years to travel through the whole chart, and where ever it happens to be located at any given time is where the individual is destined to meet challenge and learn lessons. When Saturn reaches the point where it started, it is called a Saturn return. This happens between the ages of 28 -30 and again between the ages of 58 and 60 both of which are critical learning and decision times in every individual life. To back up and reestablish the complexity of astrology, I want to emphasize that the time and place of a person’s birth sets up a whole order of things. It is our individual footprint in this solar system. So on your birthday, the planets are in certain positions in the universe and at the time we come out of the womb -- no matter natural or C-section, no matter if it is before or after the due date, it becomes our personal cosmic imprint. No matter how dire the environment or how grand, we are here to elevate our consciousness through both difficult and beneficial influences. Because the planets are always moving in relationship to earth, there is a star almanac, termed “an ephemeris,” which tracks these movements. 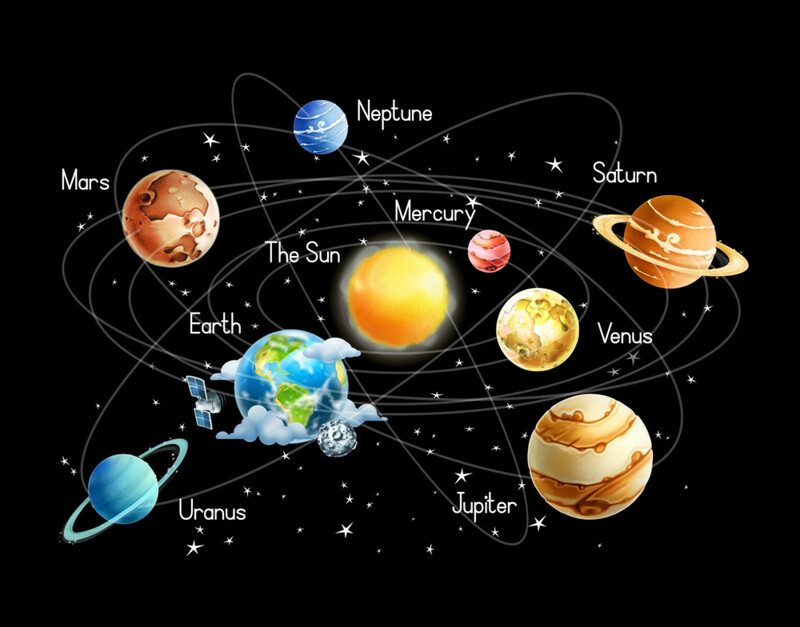 Ephemerides are used to locate the whereabouts of the planets in the heavens. This information is coded with symbols or glyphs -- like in shorthand -- along with the degrees and minutes of the planet location. To read an ephemeris, the reader must learn the symbol for the planets, stars, and zodiac signs. As the 20th century secretaries were taught abbreviated word symbols in shorthand, it is also necessary to learn the abbreviated signs within the ephemeris. For example the symbol for Taurus is a circle with an arc overhead connected with the circle in a way that resembles a bull’s head. The symbol for the astrological sign for Aries is a V shape like the horns of a ram. The easier planet symbols are the sun – a circle with a dot in the middle and the moon which is shown as a crescent moon. Most ephemeris books document at least 100 years -- like from 1900 to 2000. I used an ephemeris compiled by Neil F. Michelsen to look up my mother’s birth to see where the planets where when she was born. I already knew her zodiac sign was Capricorn, but I saw that she was born on a Friday and that her Moon was in Aquarius, her mercury in Sagittarius, and so on. I can now see my mother in a different way, not as just my mother, but as an individual born with certain personality traits. Too bad I did not know her time of birth. If I did, I would have even more insight into who she really was. 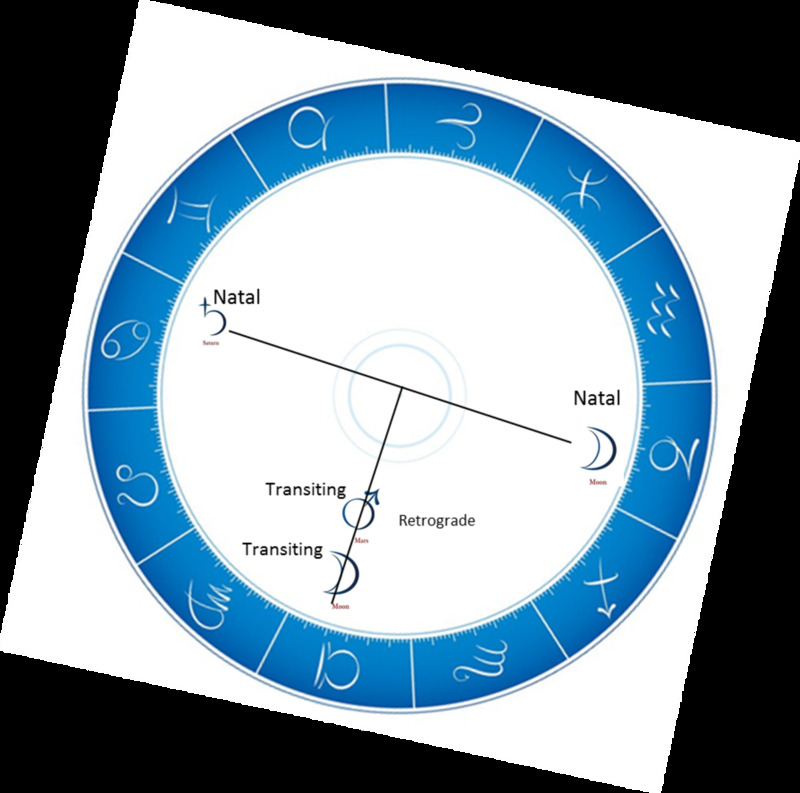 When an astrologer is interpreting a chart, they look for three basic things: the sun sign (zodiac sign) which is your inner character; your moon sign, which is your emotions; and your “Ascendant” or “Rising Sign” which is the astrological sign rising on the eastern horizon at the time of birth. The Ascendant is what you present out to others, and because the sign of Cancer is my “Rising Sign,” I project out as a nurturer as mentioned earlier. Also, because my Rising Sign is Cancer, I am particularly influenced by the position of the moon and its interaction with other planets. That is because the Moon is the influential planet energy (ruler) over the zodiac sign Cancer. In my chart, the Moon is in Capricorn and is the only planet in my sixth house, which gives the moon energy particular strength because it does not have any other planet near it to weaken its influence. Capricorn has a variety of qualities. It is one of the three earth signs and is the sign of the Goat in the zodiac. It is known for being practical, pragmatic, ambitious, and its domain influence is the 10th house which spotlights the career sector and the public limelight. Its ruling planet is Saturn which governs over the bone, skin and knees. That is a lot to take in, but it becomes important the night of my big surgery. The challenges and life lessons can be interpreted by a good astrologer when he or she looks at an individual’s natal chart. These influences are part of our DNA. Because each planet has its own unique influence, they affect each of our charts in different ways depending upon the zodiac sign the placement of that sign, the house it is in, and the degree and minutes of the signs. Our natal chart does not change. But the planets continue to move in our universe, and as they do, they make different angular relationships (called “aspects” as they orbit. 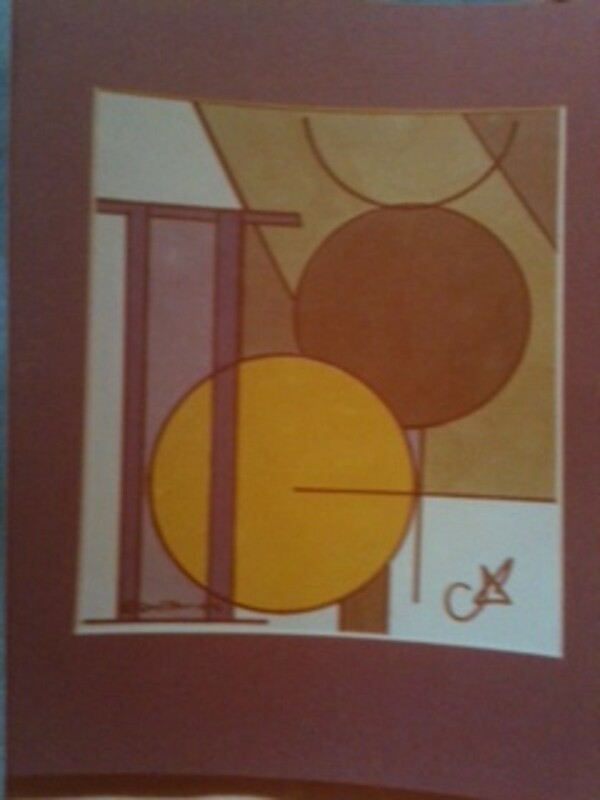 Those temporary angular relationships are called “transits.” In Robert hand’s book, Planets in Transit, he writes, “Transits indicate important trends and issues in your life, [and] is one of the few points upon which all astrologers agree.” (Note 6) Aspects are a very important part of astrology. 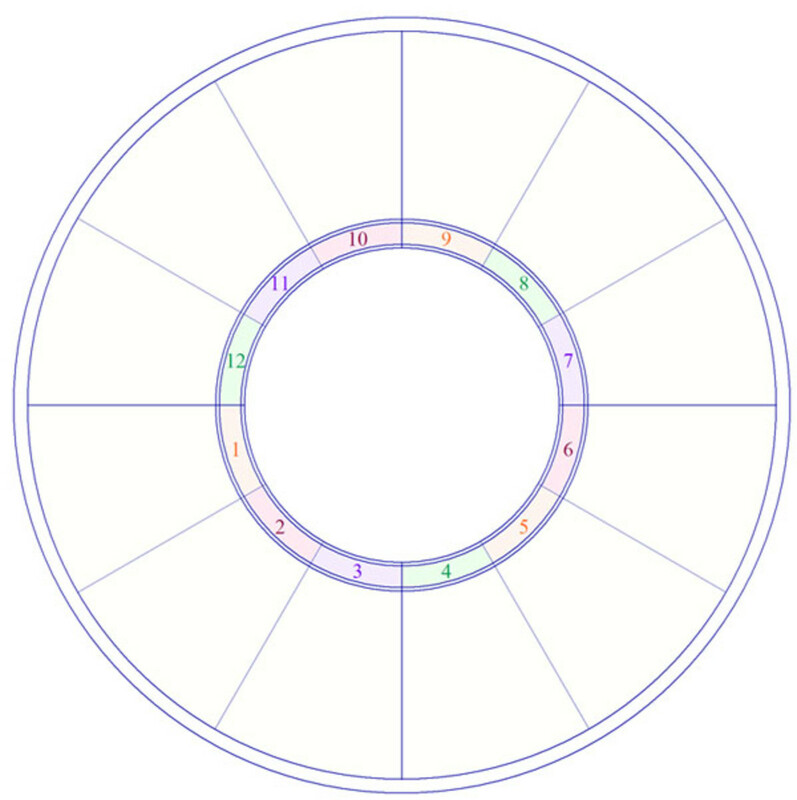 When planets are placed at a specific number of degrees from each other, they are said to be “in aspect.” Aspects are valuable when interpreting the character of an individual and also of events in our lives. There are 6 major aspects and 8 smaller ones. I am going to discuss three major aspects which were involved in my surgery. The first is the conjunction in which there are 0 degrees between the planets (Note: if the planets are within seven degrees of each other, they are still considered a conjunction. This is called the orb of the aspect) Second, the square which is when the planets are 90 degrees apart. The orb here is also 7 degrees. Third is an opposition which is when the planets are 180 degrees apart with an org of 7 degrees. (Note 18) Imagine looking down on the universe as the face of a clock. A conjunction is when both the hands are superimposed. A square is when the hands are 90 degreed apart (like 3 and 6). The opposition is when the hands are 180 degrees apart like 6 and 12. I could go on an on with examples and make all of your heads spin, but needless to say, I have learned a lot about astrology through the years, but I had not focused my attentions on the influences that planets could have on surgical procedures. One other important point: I am not writing this article to place blame. The doctor who took my case was kind just to do so. He had never met me, and was given a patient who had been injured almost a week before. This article’s purpose is to educate anyone having elective surgery, so it might help in choosing a surgery date. With this as a backdrop, here is my story. It has been over a year since landing at LAX from Barcelona and making it to the Huntington Hospital near midnight on May 9th 2014 PDT. Upon arrival, I was still on a high of gratitude, even when the ambulance driver took us 20 minutes out of our way due to poor freeway choices. Once we arrived at the emergency entrance, I was allowed to go up to my hospital room and then sign the needed admittance papers. That scenario was possible because my husband while in Barcelona had made several phone calls to one of our doctors and that doctor was able to work with the hospital administration about my unique circumstance. After a lot of dialogue, I was admitted without the normal hospital delays. On Saturday, May 10th, I had all the required tests needed for surgery, and in the morning on Mother’s Day (May 11th) I was wheeled down to the operating room area, knowing that it could be a short surgery which the doctor term “external fixation.” And that turned out to be the case. 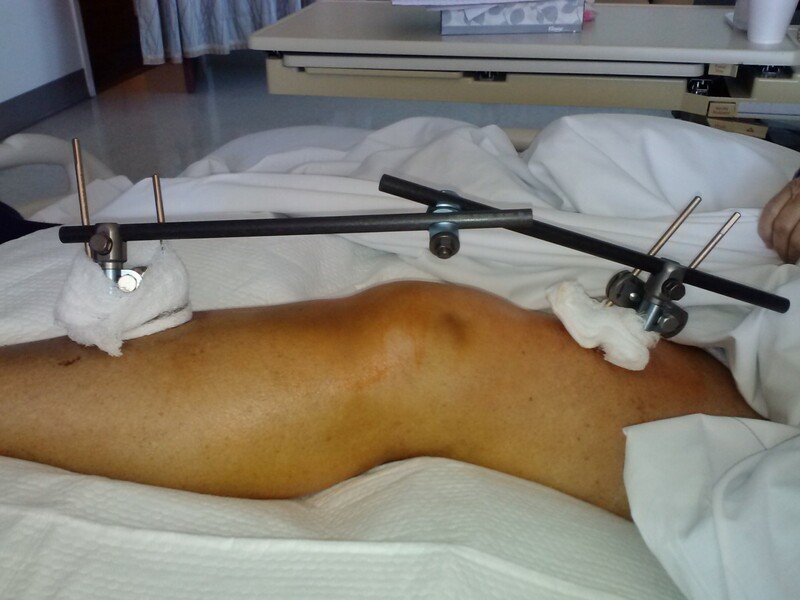 In this procedure, the doctor manipulated my leg to realign the knee. Once in the proper position it was secured in place by screws attached to the bone above and below the fracture. The position itself was secured by two rods which were externally mounted to keep the leg in proper position. This procedure was the first entry into my skin and bones because I had a closed fracture, i.e., no bones had broken the skin when I fell. I don’t mean to be gross but thought it important to show the results of this procedure. My leg had suffered a lot of trauma in the original fall and was quite swollen even before the first surgery. My big surgery was scheduled for the evening of May 14th. As the staff wheeled me down to the OR, thoughts of being in the hospital 40 years earlier giving birth to our son filled my mind. 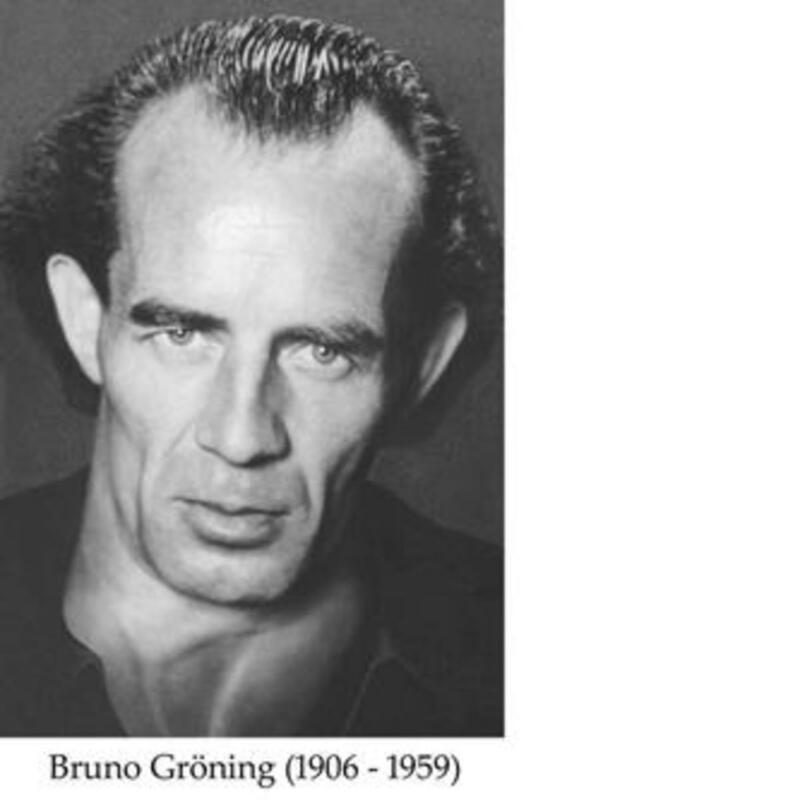 I even recalled the night before his delivery that the movie, “Giant” was playing on my little black and white TV which was connected to the hospital bed at Mather Air Force Base in Sacramento, CA. Isn’t it interesting how our mind pulls out thoughts from the past? This surgery was close to four hours. I do not remember the time in the Recovery Room, but I do remember returning to my hospital room after 11:00 pm, and the night nurse and my husband tending to me. Thank God he was by my bedside, because recently he told me, “I had to keep telling you to “BREATHE!” I was so out of it that I could not even breathe normally on my own. The next day, my doctor told us it was one of the most complex knee surgeries he had ever experienced. It turns out there were actually two areas of damage: the tibial plateau required a large incision next to and below my knee where the doctor rebuilt the damaged area and inserted a plate to keep everything stabilized. The second area was a broken tibia which required a lengthy incision on the back of my calf and the insertion of another plate to stabilize the area. All told it took two incision, two plates and six screws to put everything back in place. I stayed in the hospital for two more days before transferring to a convalescent hospital for two weeks where I got physical therapy and care. I arrived home on May 31st and was set up in an extra bedroom. It was wonderful having a television with a large variety of programs – unlike my previous residence. Once again I was filled with gratitude and was well aware I had many prayers focused on me. I did what I was told and that was to take things one day at a time, stay positive, no weight on my left leg, eat lots of protein and vegetables, drink lots of water, and so forth. In mid-June I went for my first follow-up doctors appointment. To make this journey was an adventure in itself. First phase was using a walker to the hall, where my wheel chair waited. Second phase was to the garage, where the car waited. Next, wheel chair, then back to walker, then backing myself into position so I could get up into a rather high Acura MDX back seat. That took a lot of energy as I had to use both hands to lift myself up to the seat using the handle above the door. I then had to scoot myself over to the other side of the car where two pillows waited. MAJOR ACCOMPLISHMENT! The same scenario was needed to get into the doctor’s office except it was in reverse order. This accomplishment could not have occurred without my husband. At the doctor’s, the major topics discussed were that my bones looked like they were healing correctly, but he was concerned about possible infection in the wound below my knee. The incision on the back of my calf, which had been sutured, was looking good he said, but the skin just below my knee was badly damaged during the actual fall and that made it hard to suture. Instead it was largely left open to heal from the inside out. As we returned home I felt like I had conquered the world, but I was also exhausted. I progressed normally and had physical therapy in our home twice weekly to help me with strengthening and knee flexibility. On Friday, the 27th, I was more active than normal. I was told I could do a few more things and was encouraged to use my walker because moving around would build my strength. This was done by hopping from room to room – still no weight bearing on my leg. It is interesting now as I look back that it was on that Friday, I sensed a shift. A shift in my predicament and it did not feel right. I just recently found out while I was doing research for this article that there was a new moon in Cancer at 5’37” that day. That new moon was moving through my natal chart’s 12th house, which rules hospitals. (A new moon, also called “lunation”, is when the sun and the moon move together. 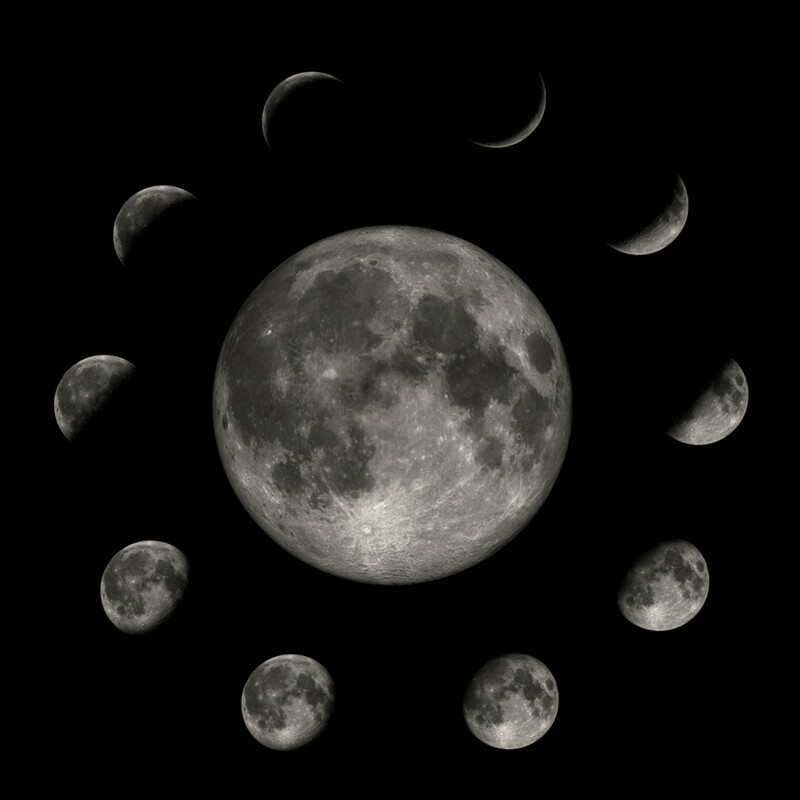 The new moon energy is the beginning of a new cycle. With the new moon in Cancer, emotion and unconscious thoughts would be a major focus. (Maybe that explains the shift in my feelings.) As it moved along, it formed a relationship (aspect) with my moon in Capricorn at 5’38” – just one minute from being an exact opposition. Opposite the 12th house is the 6th house, which rules health. As the moon continued its journey through my 12th house, it formed a new relationship with Saturn. This relationship was a conjunction. Saturn rules over the bones, skin and tissue. My natal Saturn is in the 12th house at 8’10” Cancer. And oh yes, as it continued the next day, it passed over my Ascendant and entered the first house – the house of the self. I am thinking now that the new moon was providing clues to a scenario that was already in play – the one which really began the night of the full moon when I had my big surgery. Of course, it is always easier to figure things out after the fact. Returning to Friday the 27th, I think all the extra movement that day, made my infection start to surface. On Sunday the 29, my bottom scab split and exposed something underneath that looked like infection. At the same time, I began running a low grade fever. On Wednesday, July 2nd, I returned to my orthopedic surgeon, who immediately referred me to a plastic surgeon who saw me later that day. After cleaning the infected area the best he could, he called the hospital and arranged for me to be admitted as soon as possible. I went home and waited for the call. I was admitted later than night and on Thursday evening, July 3rd, I was wheeled back down to the OR with both doctors available to do whatever was necessary to save my lower leg. At the time, I did not know how bad it was. That was probably a good thing because negative thoughts were not going to help me. And I was very fortunate to be connected to several prayer lines due to the help of a cousin who really got the word out to family and friends. When I wrote earlier that I was freaked out when I learned that the moon was full in Scorpio, I should have known, but I didn’t, that it is best to have surgery when the moon is in a fixed zodiac sign, as long as the moon is not in a fixed sign ruling the body part being cut on. The fixed signs are Aquarius, Taurus, Leo and Scorpio. This means, don’t have ankle surgery when the moon is in Aquarius. Have it in another fixed sign, because Aquarius rules the ankles. Another of the fixed signs, which rules the back and the heart, would warn you to not have back or heart surgery during a Leo moon. And even though I had several negative influences on May 14th, the night of my big surgery, at least the moon was not in Capricorn, because that would have been the perfect storm as Capricorn has rulership or domain over the knees, and I am not sure I would have made it through that experience. Because the moon’s movement is the fastest of all the celestial bodies in the sky, it moves through all the astrological signs in one month. To be precise, it is 29.5305881 days between full moons. (Note 17) So it is about 14.5 days from a new moon to full moon and then another 14.5 days back to the new moon. So what, you might say. But this is another thing Nauman says in her book, “The worst indication for any type of surgery is when Mars is retrograde.” (Mars goes retrograde every two years for about 10 weeks.) In 2014, it was retrograde from March 2nd through May 20th. 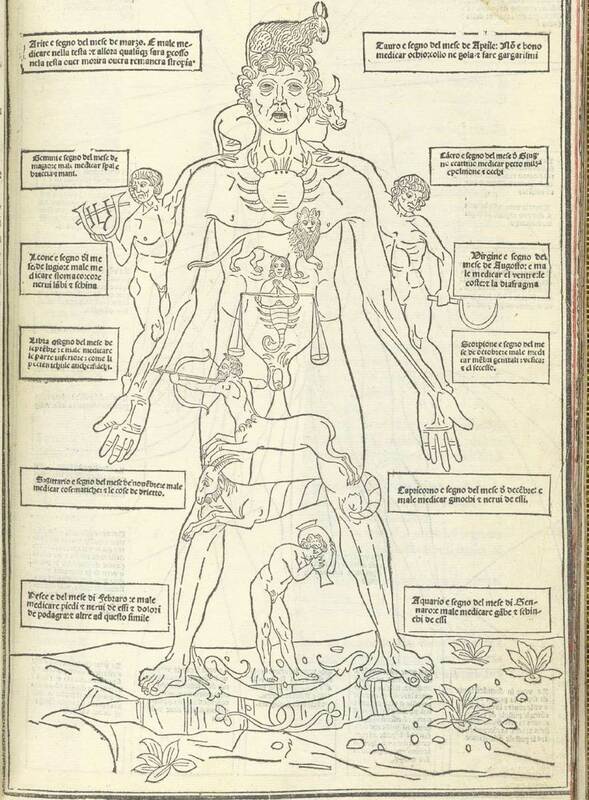 Nauman continues, “It may mean heavy loss of blood [because Mars has rulership over blood], unexpected hemorrhaging, or a mistake on the part of the surgeon [Mars also has rulership over surgeons]. Under this influence mistakes can be made because concentration level can be weakened at that time. Especially avoid microsurgery when Mars is retrograde because of the intense concentration required in these surgeries. Mailles Godefrov adds, “Surgery should never be performed when Mars is retrograde because it will most likely need to be repeated.” Also, earlier, it was stated that infections travel through the blood stream and Mars rules that system as well. Even though Mercury was not retrograde during my surgery, it is another negative influence that should be considered when having surgery. Ms. Nauman says in her Book, Medical Astrology, “Avoid Mercury retrograde there are more misunderstandings, mistakes, and confusion at this time.” Because Mercury is the closest planet to the Earth, it retrogrades 3 to 4 times a year for about 3 weeks. To find out the specific dates go to http://www.astrologyzone.com/forecasts/mercury.html. So I went into the external fixation surgery with a week-old injury, all swollen and bruised, with damaged skin, all the while under adverse Moon and planetary influences. If this was not where the infection entered, then I was to wait 3 more days when the circumstances were even more detrimental. As I think back to that time, I have no concrete memories of those three days between surgeries (probably because of the pain medicine I was on) But having that double bar connected to my bones above and below my knee with the screws showing was very memorable. When the earlier picture of the external fixation was taken it was 10:45 a.m. just an hour and a half from an exact full Moon the morning of my second surgery, and the Moon and retrograde Saturn were exactly conjunct a few hours earlier creating a very powerful negative transit for anyone having bone surgery. So both surgeries had retrograde planets Mars and Saturn respectively conjunct the transiting Moon on the days of my two surgeries. Because the Moon travels so fast, it moves through our natal chart and creates short-lived favorable and unfavorable contacts with the Sun, Moon and planets. 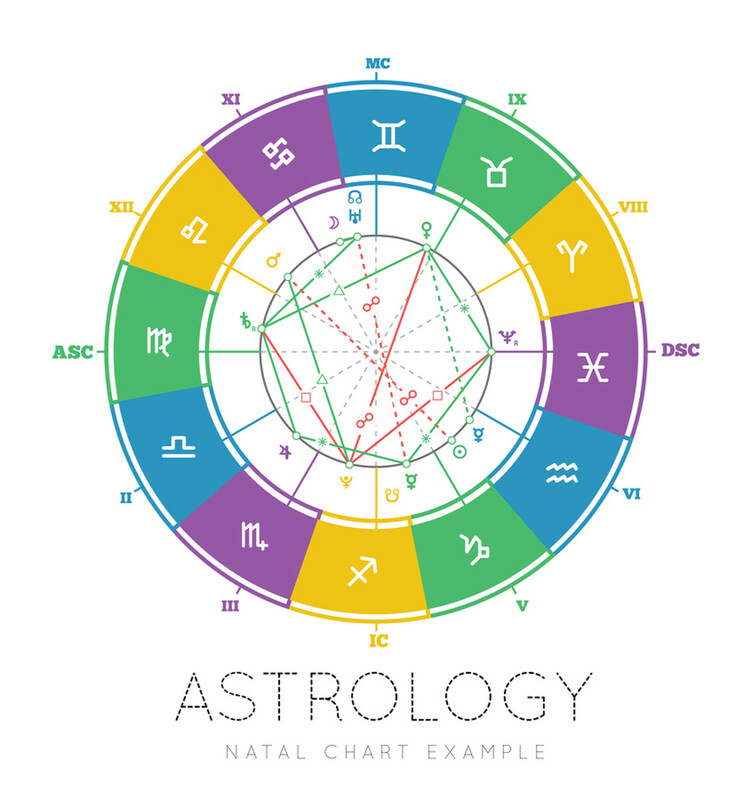 Medical astrologers would analyze these relationships by using the individual natal chart and the current position of the transiting planets to determine the best days for their clients to have elective surgery. In May of 2014, the Moon was void course 14 times within the month. The first was from May 1-2 and lasted 30 hours and 45 minutes; the shortest was on May 19th, and it lasted 2 hours and 56 minutes. Again, when I had my surgery (May 14th), the Moon was void course for over 10 hours. So the Moon, the fastest of the planetary bodies moves through all the zodiac signs within a 30-day period and as it does, the Moon is void course every time it transitions to a new sign. I know it sounds impossible to pick the perfect time to choose a surgery date, but keep in mind at least two things are very manageable: (1) Do not have surgery on or near a full moon, and (2) know the position of the Moon. Learn, at least, the signs and their rulership over our body parts. As for Mars, it goes retrograde every 2 years for 10 weeks. Next year (2016) it will be retrograde from April 18th to June 29th. And if you choose to have a medical astrologer to help you pick a date, you can find one on the internet. Today, I am fortunate to say I am walking and my infection is gone. I do have a crescent shaped indentation under my left knee area, but the other two incisions have healed nicely. I had wonderful care with my wound nurse, Heather, and my cosmetic surgeon, who told me in the beginning of my journey that to save my leg, my wound would be like a Bonsai tree. It would take lots of time and care. I was finally released by both doctors one year after having three needed surgeries in early July of 2014. Would all of this have been different if knew this information ahead of time? Probably not, both my surgeries were under emergency situations. I did not have the luxury of waiting for the opportune time. But perhaps I would have been more aware of the potential problems I could face. “There are many things that can be argued for and against both modern and ancient views, but whatever one’s opinion may be, to regard our ancient ancestors as a bunch of primitive fools and ourselves as profoundly enlightened would be a grave error.” (Note 14) So in a perfect world, the old “knowings” and the new “findings” of modern research would be a beautiful fit. To be able to work these concepts together for wellness would be an elevated concept. But let’s face it, we are ruled not only by the planets influences, we are ruled by the money machines in our society. Hand, Robert. Planets in Transit, Pg. 3. Kelleher, Carol. “Retrograde Planets”, an introductory section of Donald Yott’s, Retrograde Planets and Reincarnation. Forrest, Stephen. Book of the Moon, Pg. 25. March, Marion and Joan McEvers. The Only Way to learn Astrology. Vol 1, p55. Thank You Nancy Sue from my biggest fan!